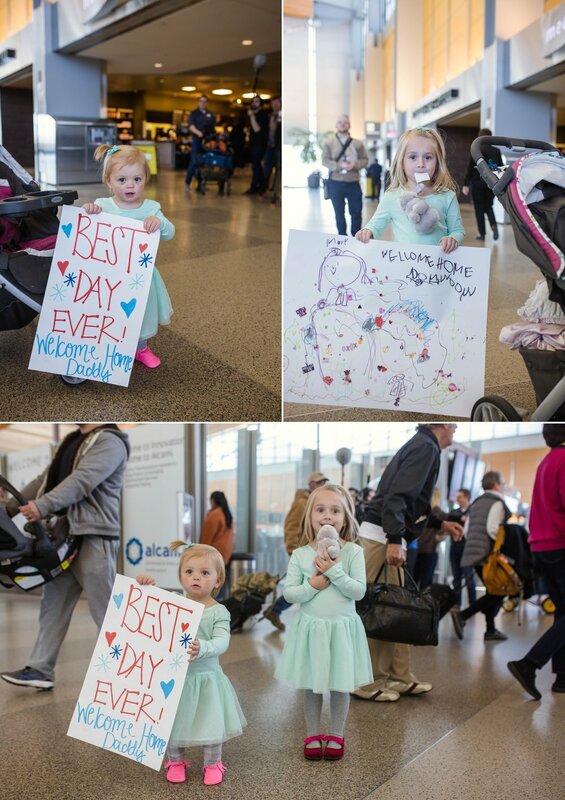 I absolutely love welcoming our soldiers home! Last week I had the pleasure of photographing the Military Homecoming of Captain Kiss at Raleigh-Durham International Airport RDU. His girls were so excited to have daddy back after months of being without him! Moments like this make me LOVE my job and I am so grateful I got to photograph these moments for them as a Homecoming Photographer! 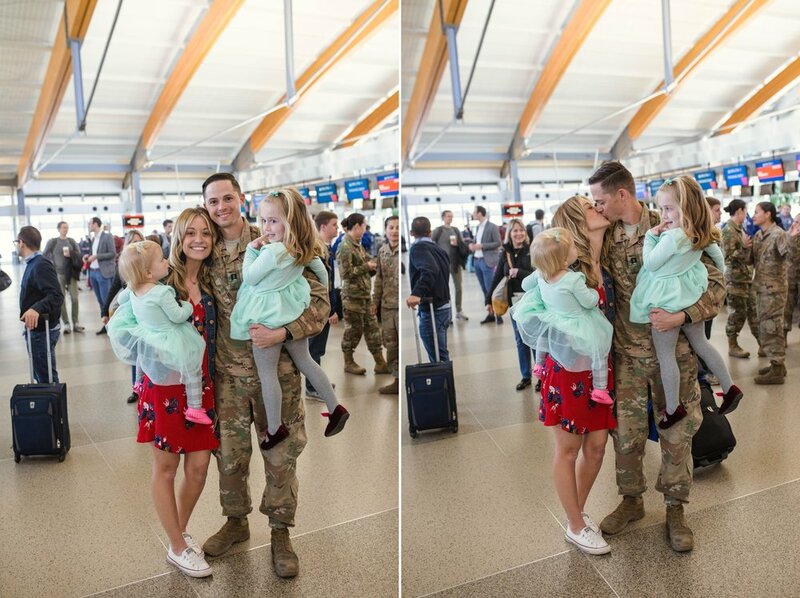 Its beautiful to see this sweet family reunited and I'd be lying if I said I didn't have some tears in my eyes as well! Welcome Home! 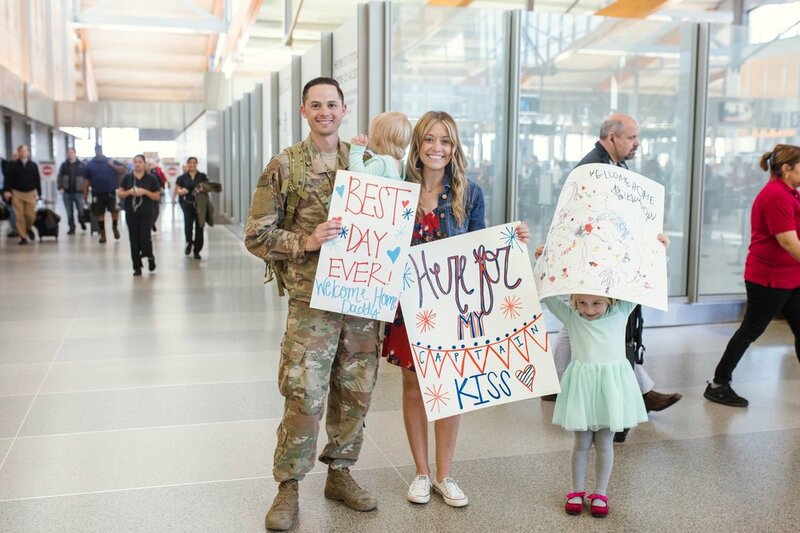 Is your special person coming home? Contact me!